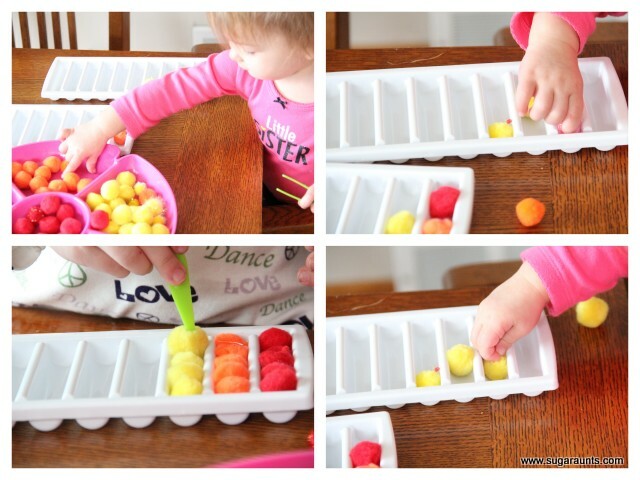 We have been on a rainbow kick recently and have a ton of rainbow projects going on right now. This was a fun one that the big kids and Baby Girl really got into. I had this sitting out on the dining room table for them to create a rainbow. 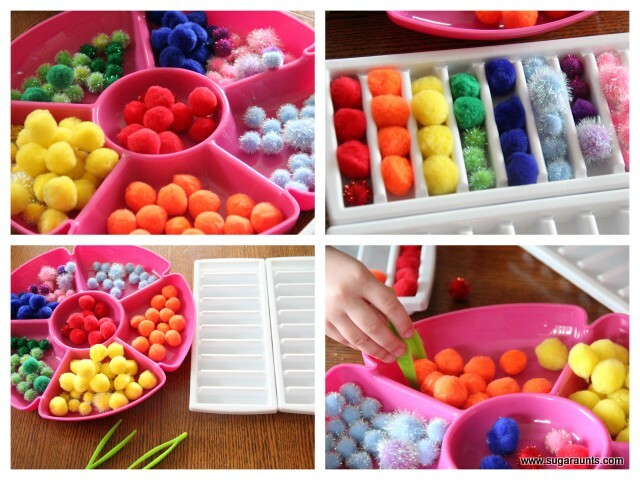 The ice trays are the perfect size for the crafting pom poms. Baby Girl (17 months) got right in there. She is ALWAYS watching the big kids and copies everything! Look at that concentration. And that cute little baby belly! I can't stand the cuteness! Stay tuned for more rainbow fun. We've been busy!